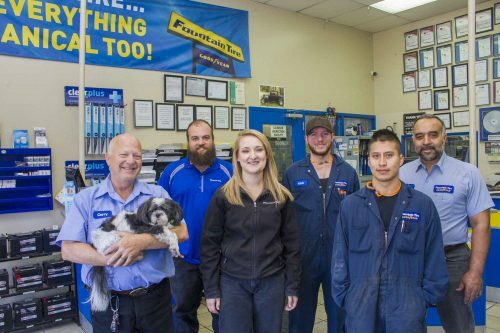 At Fountain Tire, we’re on this road together. Because we’re a company built on partnership. That means we believe in shared fates, working together, and taking ownership. That’s how we act towards our associates and our owners. And it’s how we treat our customers, like partners. You run the vehicle, we look after it. We make your problems, our problems. This has been our motto ever since Bill Fountain opened the first store in 1956 in Wainwright, Alberta.